As you guys know that MIUI 9 with Android 8.1/8.0 is already available for the Xiaomi phones. And many MI phone users already updated their phone with the latest build of MIUI 9 China Stable and China Developer ROM, And most of these ROMS don’t come with the Google Apps and you need to install the Google Apps on Xiaomi phone separately. In past, we posted lots of guides to install the Google Application on Chinese MIUI phones and many users are complaining that most of the time they are facing Google Apps Force Close Error or the Google App not working fine on the Chinese MIUI 9 ROM. 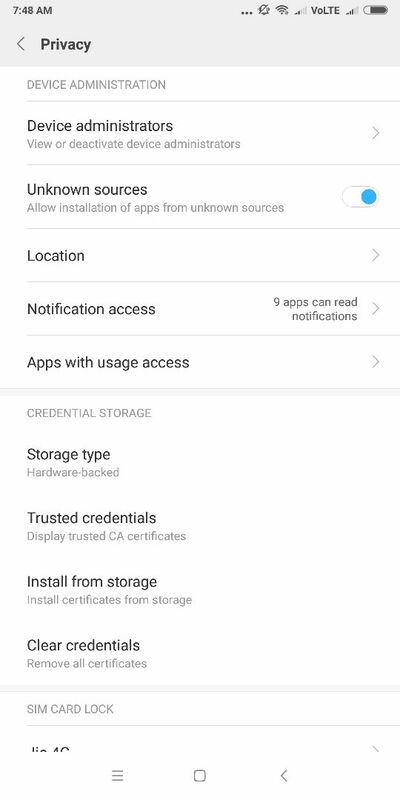 If you are the one who is testing the MIUI 9 China Stable and China Developer ROM on your phone and facing these type of problem in Google apps like Black screen, Freezes when checking app updates, Apps FC (Force close), Rapid bug report popping and Battery Drain. Then here is a tutorial which you can use and Install Google Apps on MIUI 9 and Fix Google Search Force Close Error.By following this new guide you can easily install all the latest Google Apps on your MIUI 9 Android OREO China ROM and Fiz all the Google Search Apps issues. Before following this guide do take the full backup of your phone and read all the steps very carefully and follow all of them one by one on your phone. So let’s get started and install Google Apps successfully on MIUI 9 ROMS. The first and most important step is to install the working Google Apps for the MIUI 9 China ROM. This one of the most important steps so read it carefully and follow the instruction properly to install Google Apps. a) Download the Oreo-Google Apps Apks-ifelixit.zip folder here and unzip the folder and you will see some apk files in the folder. b) Now save all the Files on your phone internal memory and remember the location of the files. d) Now install the Apk files on your one by one on your phone, Start the installation with the following sequence as in the image below, make sure for Google Services Framework APK, choose either 8.0 or 8.1, depending on your respective device Android version. And make sure to hit the Done button once you’ve installed them and not the Open. e) Once all the Six apk files are installed on your phone. Reboot your phone. Now all the Google services are installed on your phone, So now its time to update the Google Framework Services. 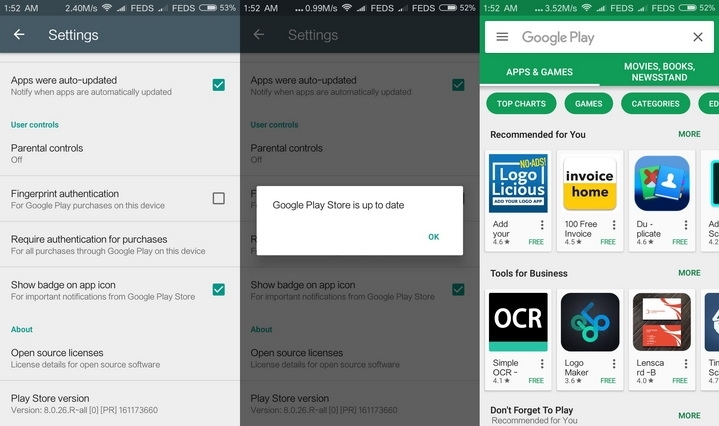 a) Open the Google play store on your app and Login the app with your details. b) Now Press the three-line menu button on the top-left corner and scroll down to open the Settings. 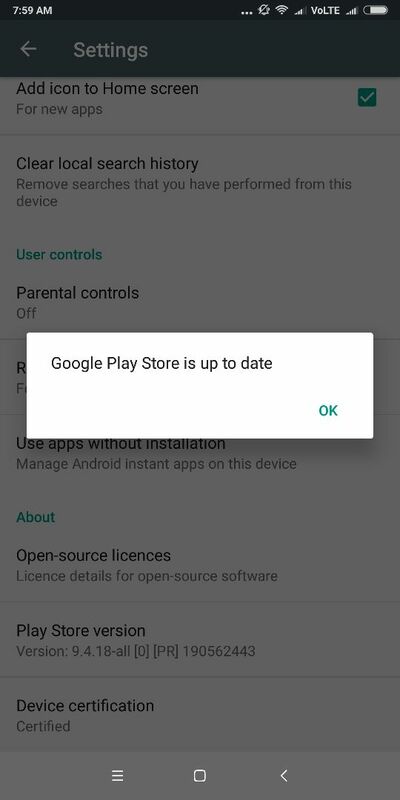 c) Here search for the About option and tap on it to open, Now tap on the Play Store version tab to update it to the latest version. Now this will help to fix all the errors on the Google Apps like crashing or force close. All you have to install one apk file on your phone and you are done. a) Visit this link and download the Google Partner Setup apk file on your phone. b) Install the APK file on your phone. c) After successful installation, you can be able to start up your favorite Google APP, and use the Google SEARCH without any errors. 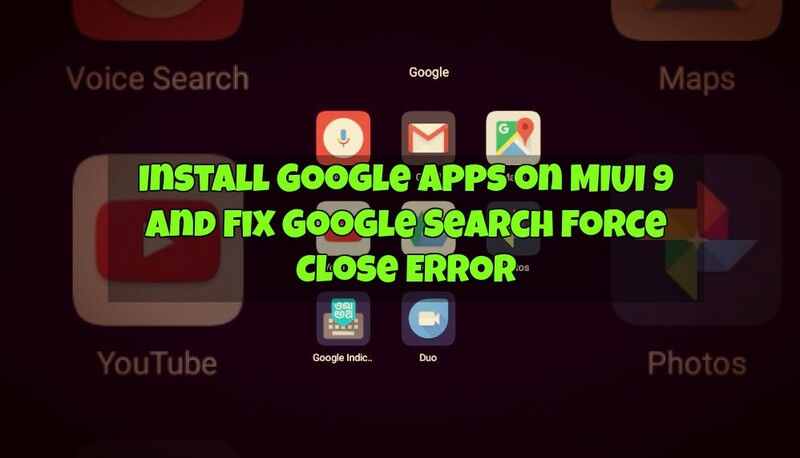 So with this simple guide, you can Install Google Apps on MIUI 9 and Fix Google Search Force Close Error. Leave a feedback, comment or query here, if it works for you. Even if it doesn’t, please a query and we will try to answer it!